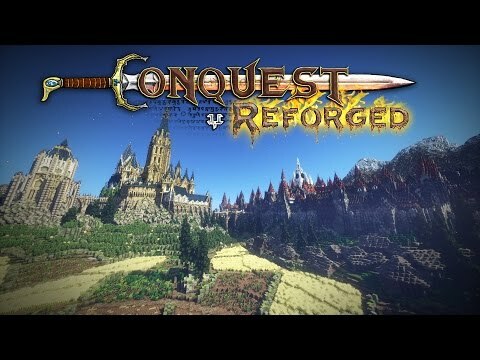 We are a creative building community server based on the Conquest Reforged mod pack. We are currently the home of over 3500 talented members, including some amazing streamers, YouTubers and respected Conquest Reforged community members. 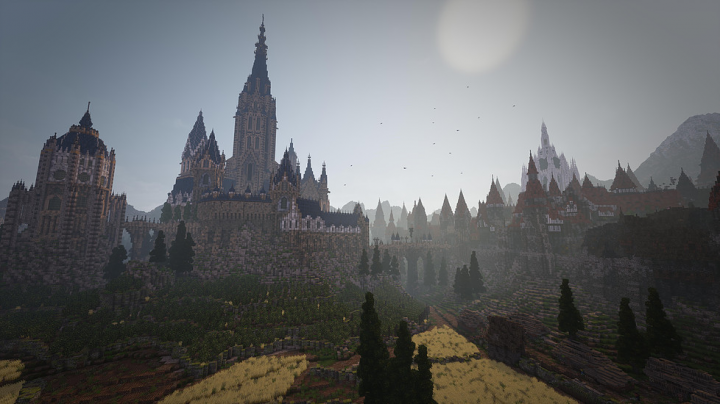 On our server, we offer massive freebuild worlds, generous plots, WorldEdit, VoxelSniper and so forth. We'll be glad to have you become a part of the community, so feel free to hop on our Discord and chat along! Conquest Reforged adds variants for all textures, from snowlayers, trapdoors, and anvils, to new models such as vertical slabs! To navigate 6000 blocks, we have added a GUI that finds every block that uses the same texture. Taking full advantage of Minecrafts new 3d model capabilities, we have added countless custom models. 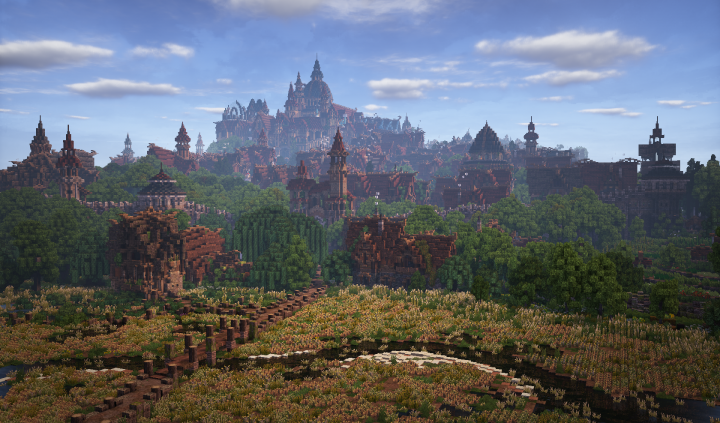 A shot of Harlond, an elven city in Middle-Earth that uses blocks in Conquest Reforged. 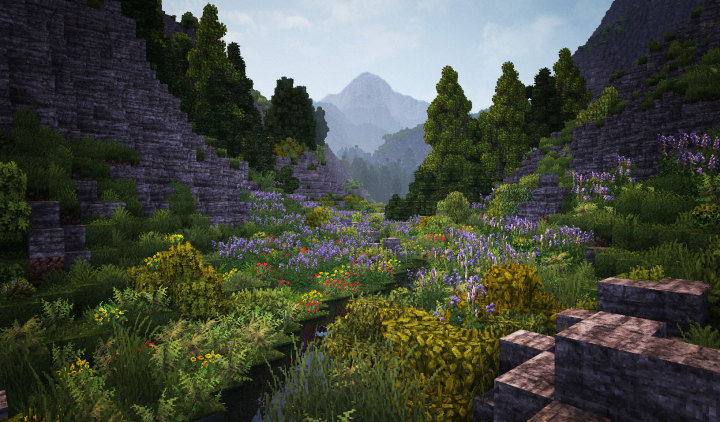 Custom terrain is easier and more detailed with Conquest Reforgeds range of vegetation and geological blocks. 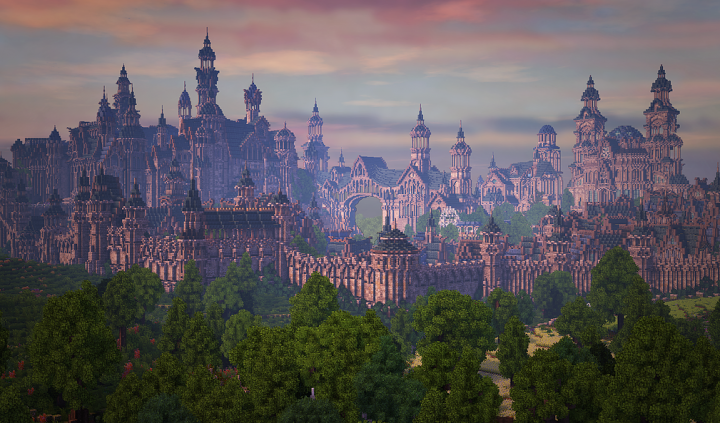 With hundreds of blocks geared towards achieving small details, Minecraft worlds will look far more immersive than ever before. A vast terrain made possible by the array of topographical blocks in Conquest Reforged. Construct your own worlds with the limitless creativity Conquest Reforged enables.